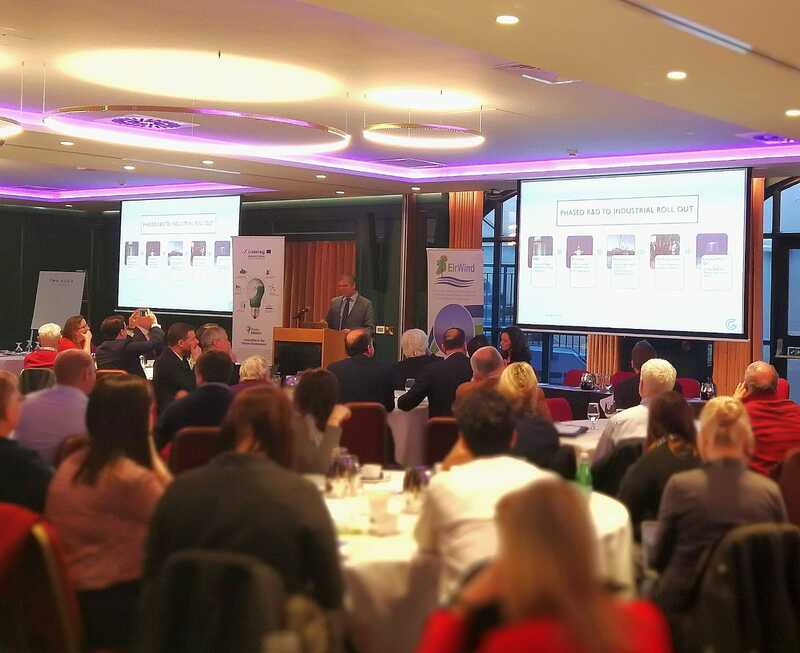 GKinetic’s Managing Director, Vincent Mc Cormack presented at this year’s 10th Marine Renewables Emerging Technologies Industry Forum last Friday, the 1st of February, 2019. 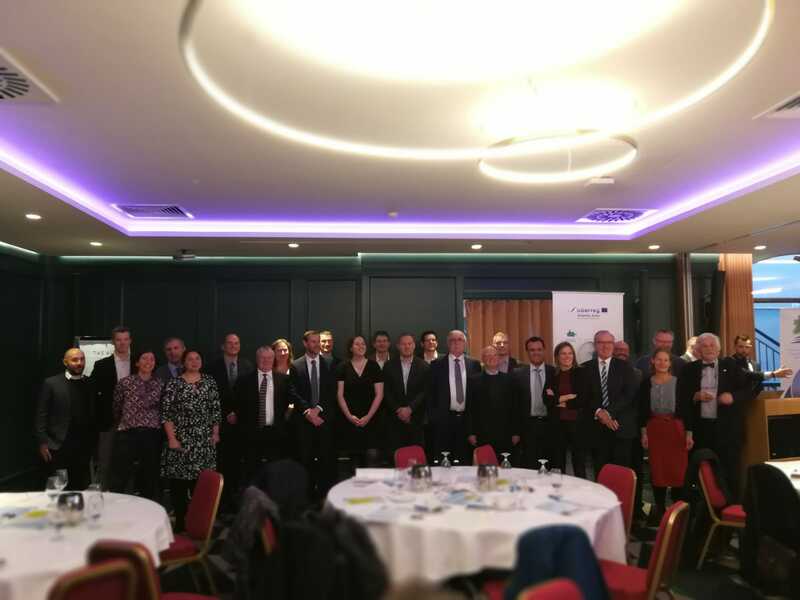 The event was held at The Alex Hotel in Dublin and was hosted by the Marine Renewables Industry Association (MRIA). The forum kicked off at 9:00AM sharp with opening speeches from representatives of MRIA, Ireland’s Department of Communications, Climate Action and Environment and the Centre for Marine and Renewable Energy (MaREI). There were 3 key sessions overall with speakers from government bodies, Universities and marine industry companies. The second session was titled, ‘Technology and project progress.’ Vincent followed Jimmy Murphy, the Principal Investigator for MaREI and head of Lir Nation Ocean Test Facility, who gave updates on both organisations. Vincent’s presentation was titled, “GKinetic Moves Forward.” First, he gave an overview of the company’s technology development progress through collaborating on projects. For example, GKinetic assisted DesignPro Renewables with their recent deployment at SEENEOH in Bordeaux, France. In addition, it highlighted our upcoming projects including +CityxChange which could potentially see the first grid connected tidal turbine in Ireland. All of these collaborative projects provide the company with key learnings to further develop our tidal technology. Finally, Vincent’s presentation concluded with him highlighting our future plans to design, build and deploy a larger 250kW ocean device. Session 3 titled, ‘MaREI – a centre of excellence for marine and renewable energy,’ included a presentation from Dr. Stephen Nash of NUI Galway and MaREI. In his presentation titled, “Tidal energy research in MaREI,” he spoke about the ongoing successful work with GKinetic on the R&D of our technology. The Forum wrapped up around 3:30PM. Overall it was a huge success with very relevant speakers and networking opportunities. GKinetic were delighted to take part and look forward to the next MRIA event.